The BetterIV catheter is a simple but proprietary modification of current peripheral IV catheter technology. In this photo the BetterIV is the top device (a handmade prototype) and below is a standard device for comparison. Both are 20 Gauge size. 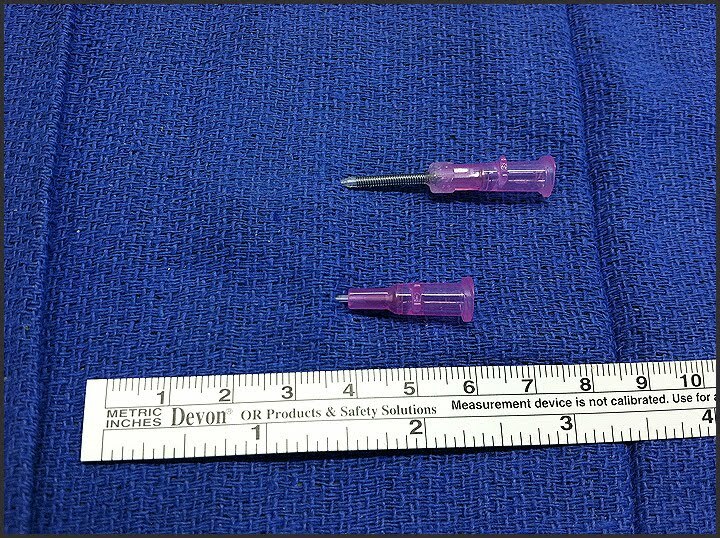 Of note is the added length of the BetterIV device to accommodate the spring-reinforced portion while allowing for the same length of catheter to be inserted into the vein. 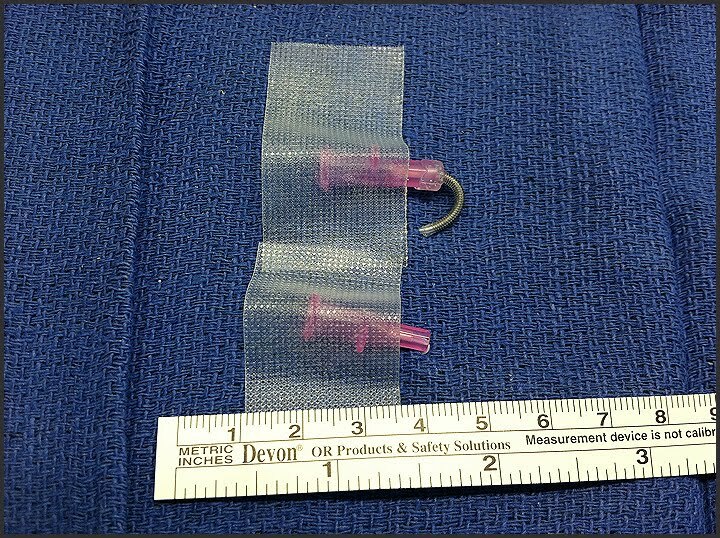 This allows for BetterIV catheter to be flexed to move with patients as they move and to be secured in more comfortable and less bulky positions than standard catheters. 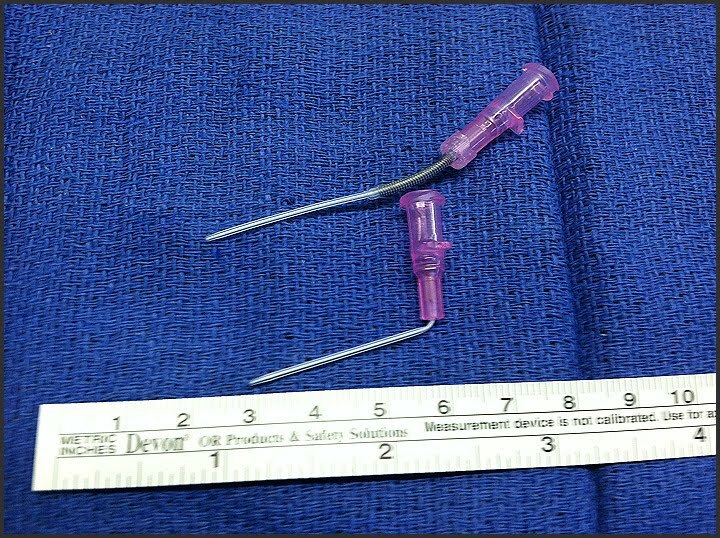 This photo is to demonstrate the flexibility of the BetterIV catheter as compared to a standard one when they are bent. 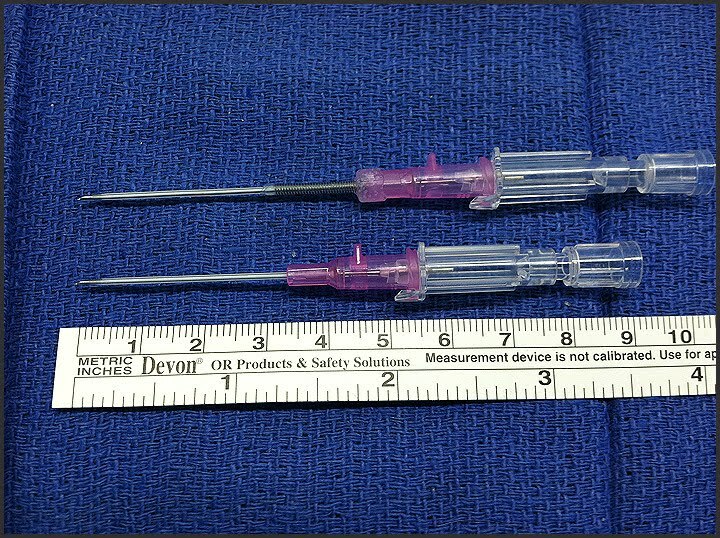 Obviously the standard one is not designed to do this, but it does happen to some degree in many IV placements and is a significant reason for failure. In this photo the tape has been released. You can see how the BetterIV catheter has retained it’s shape while the standard is now kinked and may even leak fluid around the base.